Hews Media Group-Community News has exclusively learned that the Los Angeles District Attorney will drop the investigation into the ABC Unified School District. The D.A.’s office took only two weeks to investigate the alleged Brown Act Violations before they came to the conclusion to drop the case against the award-winning school district. Sources told HMG-CN that the complaint “had Board Member Lynda Johnson’s fingerprints all over it,” and Johnson has yet to deny that allegation. Johnson is a paralegal at the Compton District Attorney’s office which, on the surface, raises serious questions about the entire investigation. The Los Angeles Times, who had not published an article in years on the ABC, mysteriously received word of the investigation and published an article after HMG-CN broke the story. Sources told HMG-CN that Johnson had called the Times and gave them the story. Interestingly, Johnson has asked to place an item on the next ABC Board meeting agenda that would allow her to access legal counsel without monetary restraint. I agree! Ms Johnson appears to have a hidden agenda. LCCN should immediately contact the DA”s office to obtain a copy of the original complaint using the Freedom of Information Act. 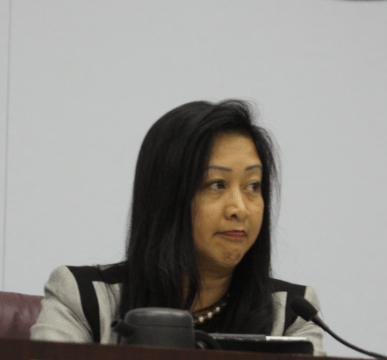 It is obvious that the School Board has become distracted from its main job of supporting student achievement by a series of time consuming peccadillos from one board member over the last year. Now we have had the DA unwittingly dragged into this and in addition to the wasted time there is a cost in taxpayer money to chase this latest piece of nonsense. Someone needs to be held to account!